The holidays are always a time of worry for everyone but children. For business owners, the holidays bring added stress beyond just worrying about what to get family and friends. You also need to consider what business gifts to get clients and partners. It is especially difficult if you want to find unique corporate gifts to help your business stick out from the competition. But, do not worry too much. This post should help. Learn some of the best business gifts ideas for clients that showcase your unique business brand below. Personalized notepads are one of the best affordable business gifts for clients. They are practical, but still something everyone enjoys, unlike most of your office decorating ideas. Adding each client’s monogram is an easy way to distinguish your gift from the many others your clients are presumably getting. Personalization is a great strategy to turn even the cheapest client gifts into thoughtful holiday presents. If you want to buy useful corporate gifts, personalize notepads for your clients during the holidays. Handmade desk accessories, like business card holders or personalized notepad holders, make great business gifts. The key here is to make sure they are handmade. This is what sets you apart from the many other client gifts behind delivered throughout the holidays. It turns cliche client gifts, like business card holders, into thoughtful, unique corporate gifts that showcase your company identity and make clients think of your business each time they use them. This is definitely one of the best corporate gift ideas for you to consider. Monthly subscription services offer one of the most unique business gifts for you to consider gifting clients. This is one way to guarantee that your clients remember your business at least once a month. That can be great to maintain client relationships and keep customers returning to your business. There are a ton of monthly subscriptions to choose from, depending on client preferences and personalities. Regardless of which you go with, buying monthly subscriptions as corporate gifts may be one of the best business decisions you ever make during the holidays. Edible treats are not exactly the most creative business gifts ideas. But, everyone still loves receiving them. Just be sure to put thought into the treats that you send. Consider steering clear of food products that could set off common food allergies. Products with nuts should be avoided. As long as you keep this tip in mind, finding edible treats that your clients will love should not be hard. Food is one of the best corporate gifts because it can be shared. Keep this in mind when trying to come up with the best client gifts for your business. Coffee samplers are the perfect client gifts. What business professional does not drink coffee? Even if your client does not drink coffee, they are sure to know a close family member, friend or colleague that does that they can share with. Coffee is one of those universal corporate gifts that everyone is sure to enjoy. If you have exhausted all other options, you can never go wrong sending clients coffee or food gifts. The holidays are stressful times for everyone, but perhaps more so for business owners like you. You also have to worry about business gifts on top of worrying about your own family and friends. You certainly do not want to go into business debt just to get nice corporate gifts for clients. 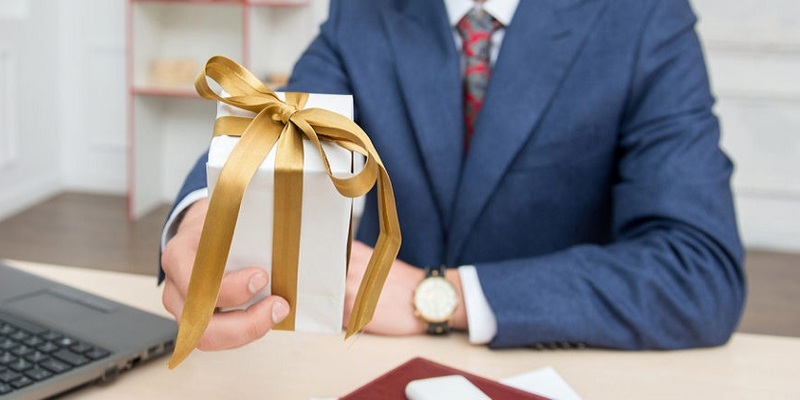 Thankfully, there are some go-to client gifts for the holidays that you can personalize to keep clients thinking about your business year round. Consider the business gift ideas mentioned above. These corporate gifts are sure to help your business stand out and please your customers all at once.